R.A.A.F. Fitters II.E Flight Mechanics Course Notes. Engineering School. Issue 4 1942. R.A.A.F. 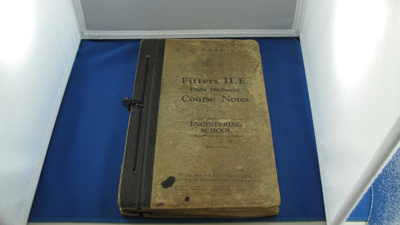 Fitters II.E Flight Mechanics Course Notes. Engineering School. Issue 4 1942. LAC.Clemens H.J. 2 Wing T/FM Course 366.